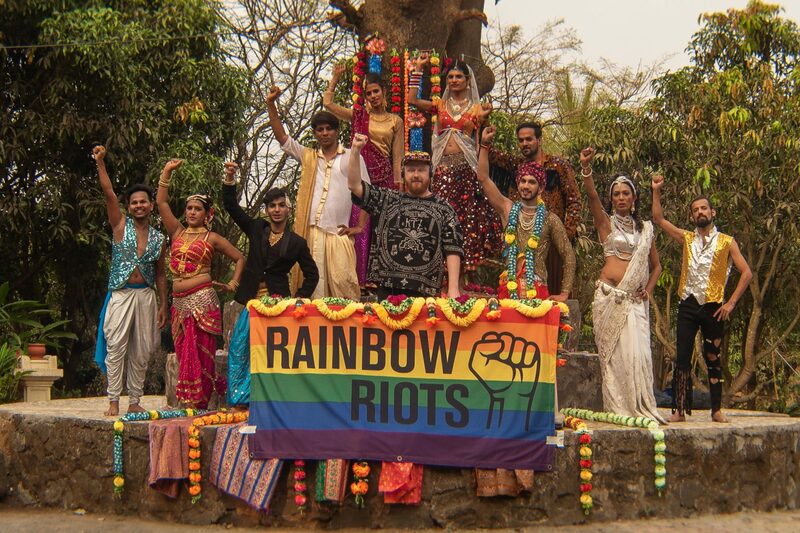 Swedish musician and activist Petter Wallenberg has been in Mumbai for nearly two years, collaborating with India's first openly gay, trans and lesbian singers and dancers. The initiative has been carried out with support from SI. Swedish artist and activist Petter Wallenberg and India's first transgender dance group Dancing Queens in Mumbai India. The result is upcoming music and activist project ‘Rainbow Riots India’. The first single ’Love is Love’ featuring India’s first openly gay celebrity and drag queen, Sushant Divgikar AKA Rani Kohinoor was released April 2 2019. The accompanying video was shot onsite at India’s first legally recognised Pride in February and also stars India’s first transgender dance group Dancing Queens. – When I first arrived in India nearly two years ago, as a gay man – I was a criminal. But soon I was part of a revolution, right at the heart of the biggest victory for equality in our time. During the making of this album, the controversial British colonial law Section 377 that criminalized homosexuality was abolished in India. After over 157 years, all Indians are now free to love! This isn’t just music – it’s the sound of India’s rainbow revolution, says Petter Wallenberg.